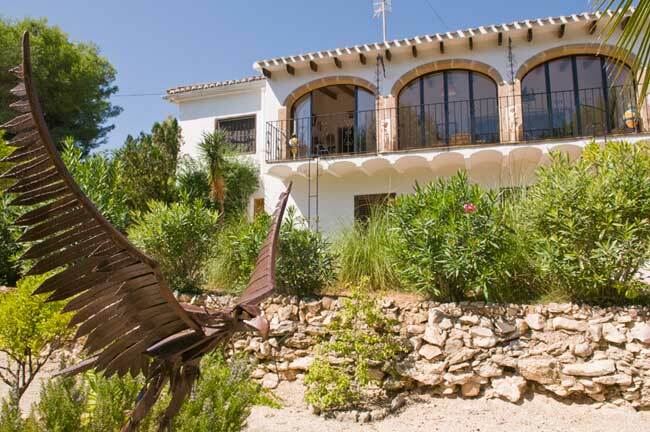 Villa Katharina Too is a spacious 3 bedroom, 2 bathroom, villa in Cap Marti close to Javea’s Arenal beach (2.5Kms). The villa is in a quiet situation at the end of a cul-de-sac so there is no passing traffic and you have a big, private, swimming pool. 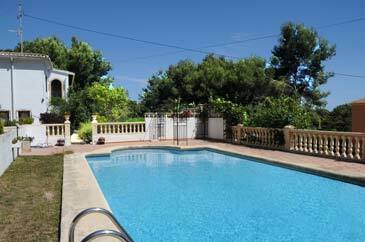 The pool has a paved surround furnished with loungers for relaxing in the sun, or in the shade provide by the pergola. Nearest restaurant: 800m El Rancho. don Antonio 1,1Kms. General accessibility: No wheelchair access. Steps to villa and pool. 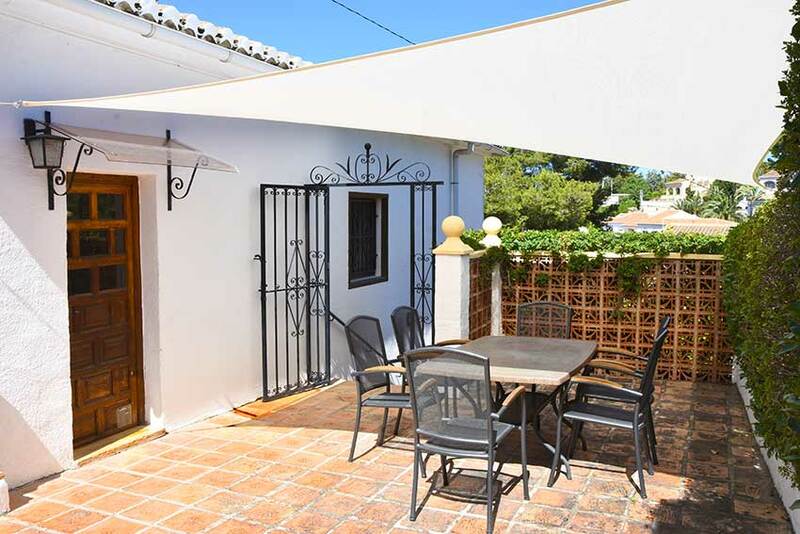 Entrance to the villa is up steps to a traditionally furnished sun lounge. 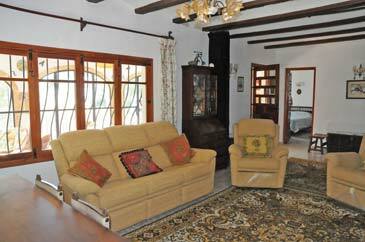 Here you have a table and chairs for casual meals and cane chairs provide comfortable seating for relaxing with a book or glass of wine. The spacious lounge and dining room is equipped with cable TV offering many English language programmes including BBC, ITV and some SKY stations. 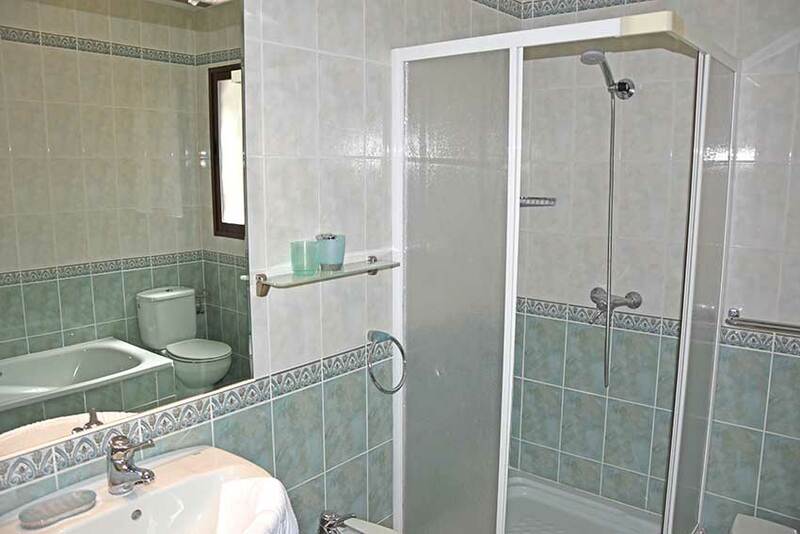 There are three bedrooms, two doubles and a twin, a family bathroom with a bath and separate walk-in shower, and a shower room. And for Summer 2019, air conditioning in all the bedrooms. Available from 8pm to 10am. 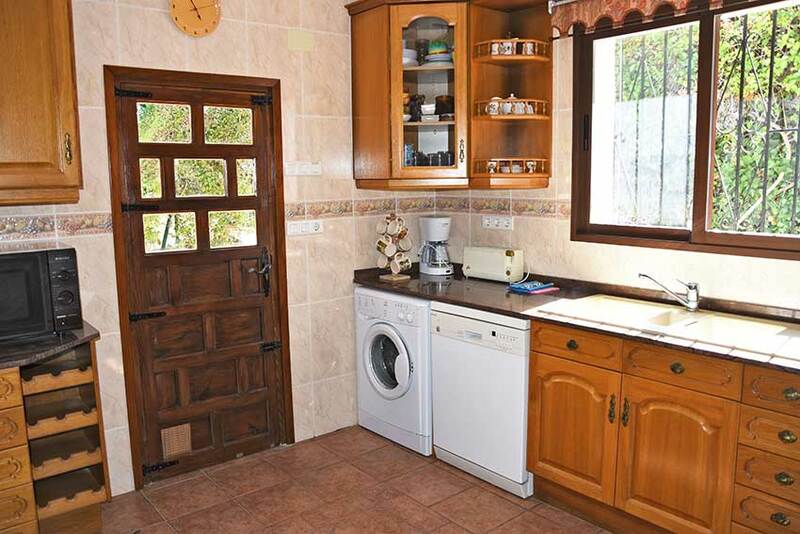 The well equipped kitchen including a dishwasher is off the lounge. 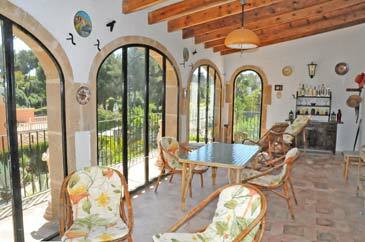 A door from the kitchen goes out to an enclosed patio furnished with table and chairs, ideal for al fresco meals. From here steps go to the swimming pool. 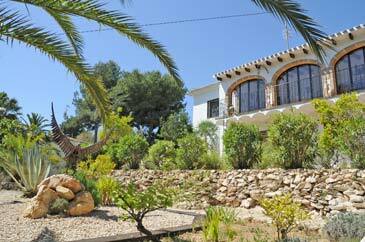 The garden is well maintained and features many colourful Mediterranean plants, shrubs and trees. There are also a couple of sculptures by world renowned local artist, Antonio Mari. 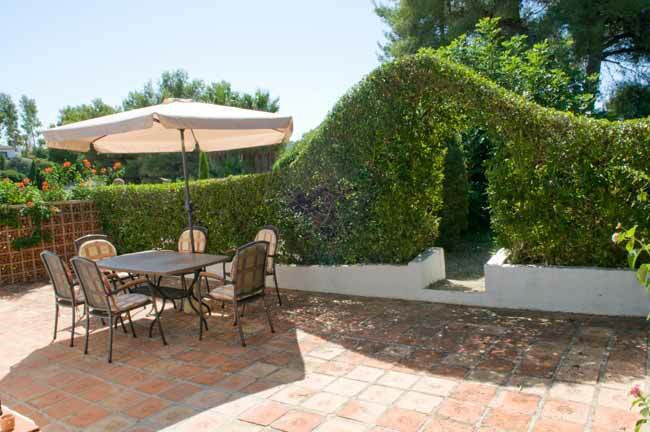 The villa is fenced and gated, with ample parking for a couple of cars. 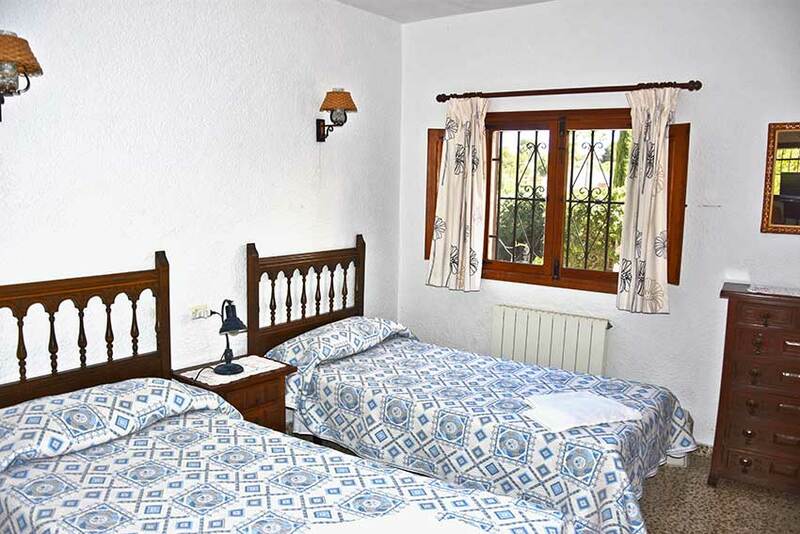 It is a 5 minute drive to the local Arenal beach with many bars and restaurants. Three well stocked supermarkets are just 2 minutes away. A couple of restaurants are within walking distance. Availability and prices are always up-to-date and you can safely book via our secure reservations system. You can pay by credit or debit card and there are no additional card charges when you pay on line. 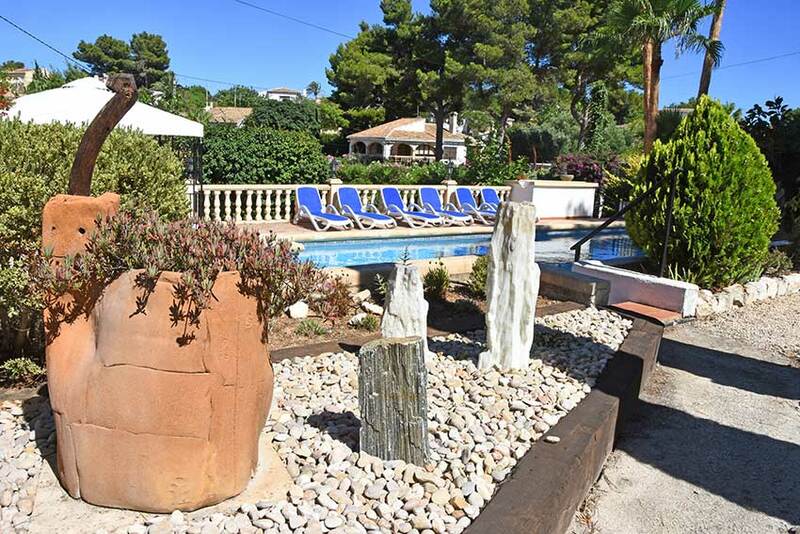 You will be taken to our Aspects of Spain secure reservations system where you can safely and securely book and pay for your holiday at Villa Katharina Too in Javea. We do not make any charge for credit or debit cards. When you select your dates and the number of adults and children the system will automatically calculate your holiday cost including any discounts or supplements. 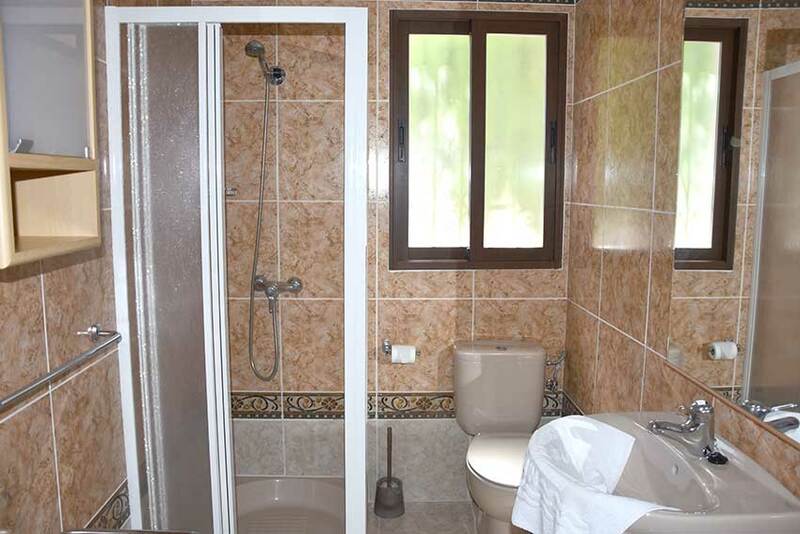 There is a 10% discount if there are just two of you * Sorry, only for reservations when two people occupy the villa for the whole period of the booking, and the booking is for one week or longer. 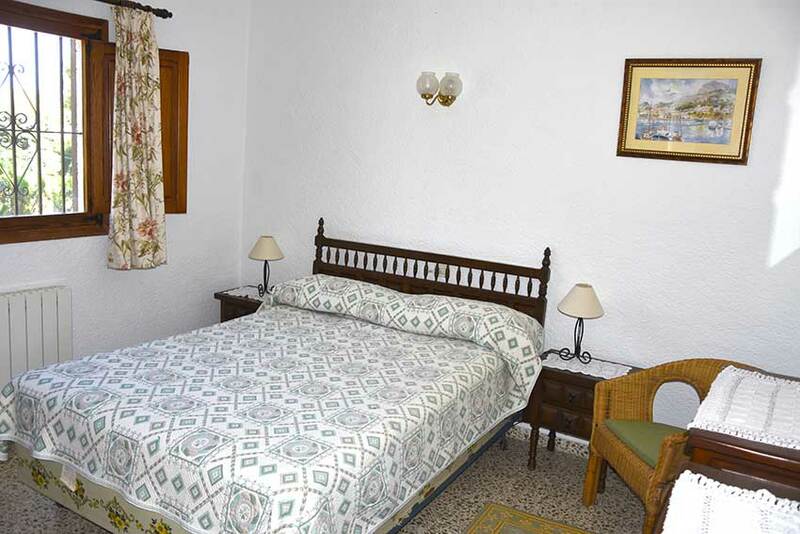 From Villa Katharina Too it is a 30 minute walk (3 minute drive) to the Arenal beach area where you have a sandy beach bordered by a promenade with lots of restaurants, gift shops, bars and cafes, and in the summer evenings the craft market. Close by are more shops and a fun fair for the smaller children. Nearer to the villa is the pretty rocky cove of Calablanca, just a 20 minute walk away. For day to day shopping you have four excellent supermarkets all within a 2 to 5 minute drive of Villa Katharina Too. 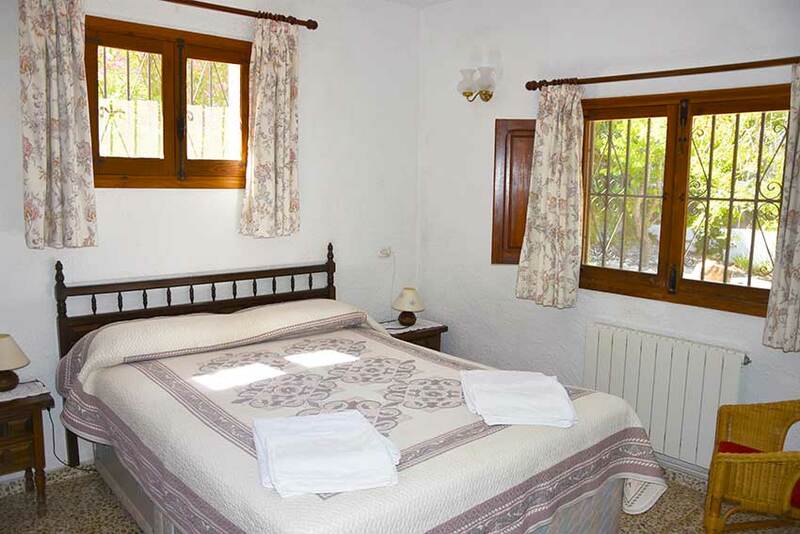 The closest (Saladar) is open every day and is only 800m from the villa. When you stay at Villa Katharina Too you will find an information book at the villa with extensive information about the villa itself and lots of information about the surrounding area, including restaurants, bars and places to visit. And of course you will have our friendly local staff on hand to help and advise you if you need it. On arrival at your villa you will be given 24/7 emergency phone numbers, as well as numbers you can call during the day for help and advice.